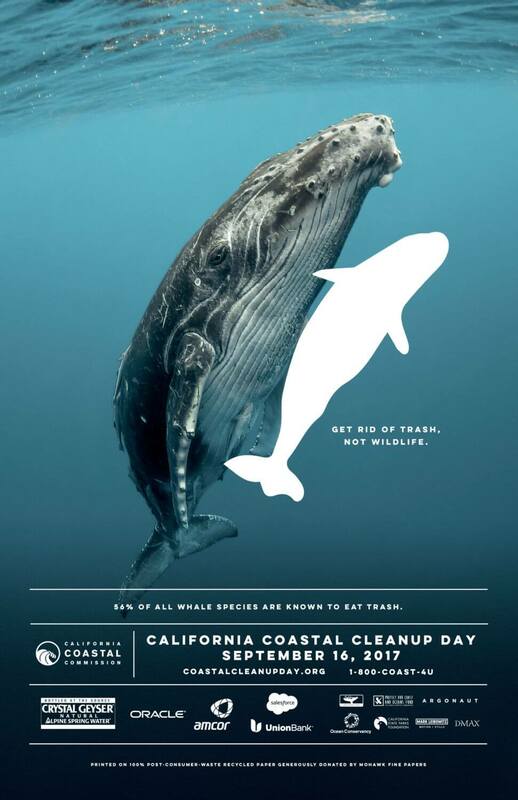 Join CESP at Solano Stroll, Coastal Cleanup, and North Richmond Shoreline Festival! Enjoy 26 blocks of vendors, nonprofits and entertainment, and be sure to stop by the CESP booth at 1604 Solano Ave. at the corner of Solano and Ordway St. We are looking for volunteers to help out at the booth; email cespmanager@eastshorepark.org for more information. Read more about the stroll here: http://www.solanoavenueassn.org/events/solano-avenue-stroll/. Albany Shoreline, at the end of Buchanan St.
Join CESP, The Watershed Project, and a plethora of volunteers to help clean up the shoreline. Be a part of this cleanup effort and citizen science opportunity that not only cleans our shorelines but also collects data to better understand the type of debris found along our shorelines. CESP will have a booth at the event. Email cespmanager@eastshorepark.org to get involved. Visualize Sea Rise at 1:00 PM, meet at the Dotson Family Marsh. 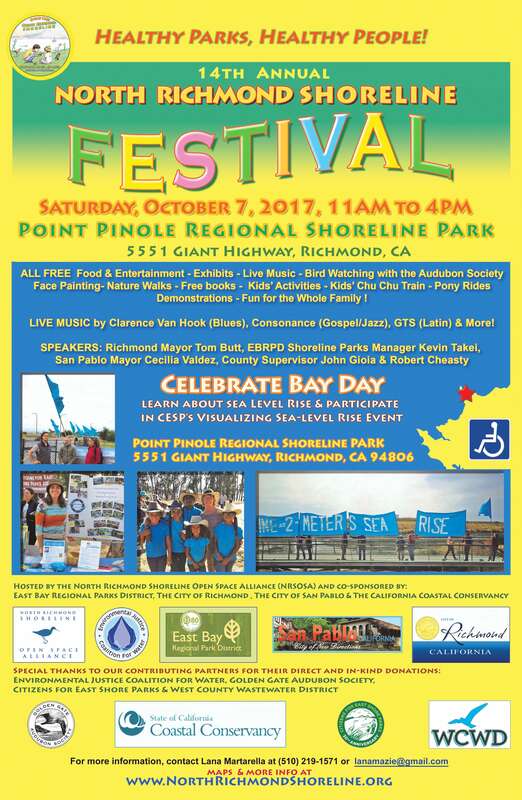 Join CESP and many other organizations to celebrate the North Richmond Shoreline at beautiful Pt. Pinole Regional Shoreline Park. This year’s theme is about sea-level rise education. CESP’s Visualizing Sea-level Rise demonstration will be a highlight event at 1:00pm in the Dotson Family Marsh. 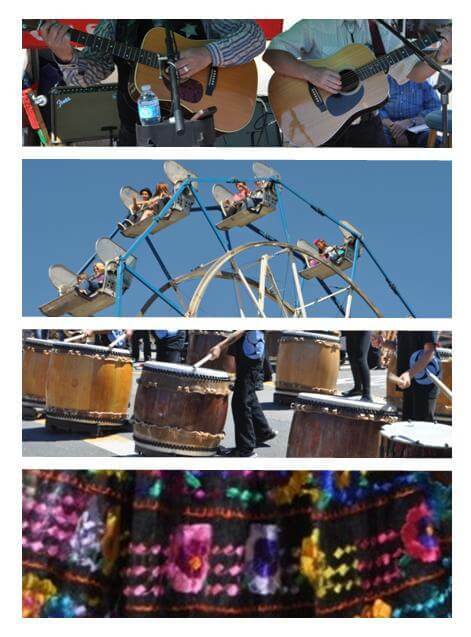 This annual festival features healthy food, lots of outdoor activities and music. Bring the family! Email cespmanager@eastshorepark.org to get involved. http://www.northrichmondshoreline.org/festival.htm.